To check out local events happening in Hollywood, please visit our CALENDAR for more info. 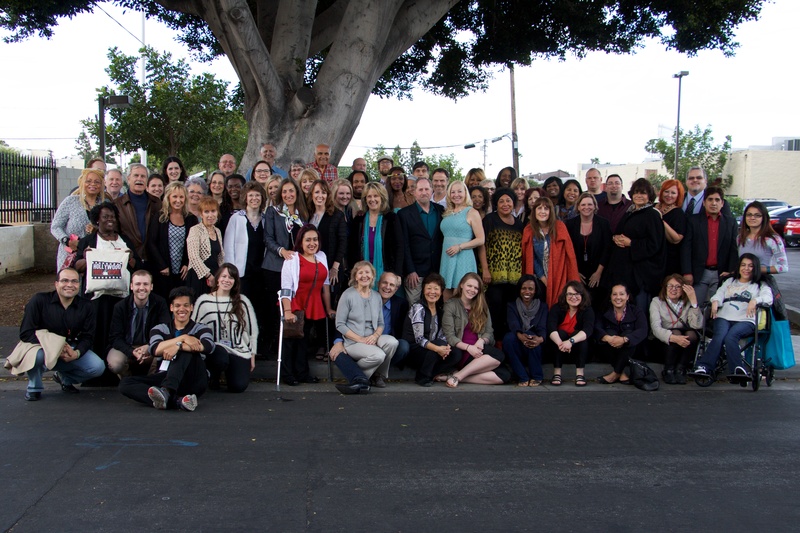 Hollywood Arise was miraculous during the weekend of Oct. 12-14. That Sunday night at midnight concluded 72 hours of prayer and worship for the entertainment industry as hundreds of people gathered under a tent in the heart of Hollywood. We know that powerful time of inviting God into Hollywood made an eternal difference in our industry and in our city! It began with incredible lightning and a completely unexpected downpour of beautiful rain on Friday night and continued with amazing answers to prayer, including personal breakthrough, healing and vision for so many members of our Christian Hollywood community. Thank you for your prayers with us during this event! HPN hosted a fellowship breakfast for experienced young Christians in the entertainment industry. It was held at the Batalis’ home, and about 35 people attended to share a meal and meet other Christians in their fields. The group also heard from Karen Covell (HPN Founding Director, producer) and Dean Batali (television writer, producer), who shared their stories and perspectives on being a believer in the entertainment industry. The guests formed new friendships that we pray will be long-lasting and fruitful. They were encouraged by Karen and Dean’s stories and availability. We also pray that this event continues to bless the guests with its results in relationships, careers, and deepened faiths. On May 3rd, 2018, over 450 Christian entertainment professionals gathered on a CBS television sound stage for LEGACY: An Evening of Story and Prayer. LEGACY was an opportunity to hear stories of God’s work from seven diverse speakers in our own community and to encourage guests by what God has done and is doing in our industry. It was also a time of prayer alongside hundreds of Christians in media, asking God to strengthen the growing faith community in Hollywood, build more bridges and relationships between the church as a whole and Christians in entertainment, and to heal issues that are faced by all in our unique community. This event on the National Day of Prayer was incredibly powerful and encouraging, and for many was a revelation of the size and strength of the community of believers in Hollywood. See below for photos, testimonials from speakers and guests, and a video recap of the evening. Thank you so much for a great evening! I wanted you to know just how much my wife and I were fed by the speakers and this amazing event, at times feeling like we were being addressed personally! It’s wonderful and unexpected to feel such a part of the community. I was so touched last year and this year to know true believers who are carrying their crosses are in Hollywood! Success and fame may rule many in Hollywood but not the ones who share at your events. I really enjoyed all of the speakers and definitely felt touched by their stories. I was starting to feel isolated and alone as an actor in Los Angeles and thinking of quitting but I NEEDED to hear this message that I am not alone. I remember National Day of Prayer from high school when we would all gather around the flagpole and pray, but I never thought about it being something that reached Hollywood. The event was so profound and the speakers were amazing. Being there on Thursday refilled my soul with hope and optimism and reminded me that God has brought me this far, He will not leave me. It was a true reflection on what Heaven should really look like. Our stories/testimonies are the most powerful things that we can share with other. All of the speakers truly proved that so true last night. We were blessed to be able to received all that was offered. Thank you Mastermedia and HPN for your continued faithfulness, grace, and commitment to the transformation and impact of Hollywood.. you all have blessed thousands of lives, and we are certainly honored to join you on this journey. Being a part of Legacy was incredibly meaningful to me. I am so grateful to have met so many passionate, thoughtful, and service-oriented people at the event, and I truly felt a part of the community. You created such a powerful space that evening. Thank you for how boldly you pursue your visions, and how warmly you invite others into the journey! This was an intimate gathering of about 30 industry professionals, artists, and influencers presented by the Brehm Center and HPN. With presentations and discussion led by Clover Zhou, Christian Gonzalez, and Brehm Center director Makoto Fujimura, this salon was an opportunity to consider the cultural responsibility and effects of art and creativity. Guests had ample time to get to know each other and discuss the topics during a wine and cheese reception after the presentations. Transformation Intercession Conference (TIC 2017) was a time of fasting & prayer for transforming revival in our region and our nation. It lasted two days and was at the historic Bonnie Brae House in Los Angeles. Intercessors from around the country attended, and multiple ministries and churches were represented – including HPN. Kim Roberts led a prayer session for the entertainment industry, inviting the intercessors to join HPN in praying for artists and influencers. Below are a few photos from the event. Click here to view the event website. LEGACY: An Evening of Honor and Prayer was an amazing gathering of Hollywood professionals. On May 4th, 2017, we prayed for many issues related to to the entertainment industry and honored faithful believers in many different roles in Hollywood! Our honorees were: David & Jessica Oyelowo, Christina Lee & Steve Storm, Martha Williamson, Terry Botwick and Merlinda Balmas. Mastermedia and HPN want to thank all of you for your support of LEGACY: An Evening of Honor and Prayer. We are so honored that you came and we are excited to say that it was an incredible evening of miracles! The Lord showed up in ways we couldn’t have orchestrated and all of you being there was a key part of the divine magic that happened on that sound stage! If you weren’t able to make it, please know that it was a powerful time! View photos below, and see even more from the event HERE. Check out the video recap of the event below! Guests enjoyed an elegant appetizer and dessert buffet. Kim Dorr-Tilley led in prayer for marriage and family. Rebecca Ver Straten-McSparren prayed for strength and health. Garland Hunt led guests in praying for their careers. Media professionals and guests filled the CBS Studio Center soundstage. Singer Amick Byram ("The Prince of Egypt") and his wife, actress Cassie Byram, with Dan and Peggy Rupple. HPN & Act One had an incredible Oscar’s prayer walk! We prayed together specifically for all the nominees, films and issues involved in the 2017 Academy Awards ceremony. We pray that God will continue to touch hearts of everyone involved in the awards and the team who puts it together. Karen Covell at the World Prayer Conference in October 2016. Before I came to the summit I wasn't sure about my heart for Hollywood and if it was really God speaking to me about the industry or if it was just myself. But being there kindled this fire in my heart again for Hollywood, it confirmed everything God has been speaking to me. I felt so encouraged and full of fresh new hope! I learned a lot about how the industry works and felt very encouraged to hear testimonies and insights from the speakers. Getting to know the other chapter directors was really incredible as well, I learned a lot just hearing their heart for God and the industry. One word I would use to describe the Summit is "inspiring." I appreciated hearing first-hand for people who are working in Hollywood. It was good to hear their stories of success in serving God and the areas of struggle so I can be praying more effectively. I learned a lot about Hollywood and the people serving there. The love and care of each detail in the planning was obvious. Each of us was meant to feel very special. I was amazed at the loyalty of the volunteers. This meeting will make a significant contribution to many lives within the HPN organization. What a great time in the Lord and meeting so many great new people! One of the best weeks of my life. So thankful to have gotten to pray, serve, and enjoy that time with such Godly, creative people. I will always treasure this experience. May the Lord continue to bless the Hollywood Prayer Network all the more! The May 2016 HPN Local Chapter Directors Summit was a HUGE SUCCESS! Thanks to all 60 attendees and all of HPN’s planning team and volunteers, God moved in miraculous ways last month. We now anticipate great things ahead because of what happened last week in Hollywood! Click on the links below to see the photos! HPN will be gathering the local chapter directors for an incredible 3-day summit in Los Angeles on May 5-7th, 2016! We started our chapters to mobilize prayer all over the states and the world for the entertainment industry. Our desire is to have our chapter directors spend 3 days with us in Hollywood in order to get to know one another, to get a clearer vision of all that God is doing in Hollywood and to go back more prepared to pray for the world’s most influential mission field! For all of our HPN Local Chapter Directors, we have put together a schedule for our SUMMIT that any of you can take advantage of at any point during the week-end, depending on your schedule. We will be flexible so that we can have as many of you as possible joining us for this special event. We want you to know that though we can’t pay for your airfare to Hollywood, HPN will be covering the cost of everything you need once you get to LA. We will pay for your food, housing and local transportation. There is an extra charge for couples sharing rooms. Once you make your flight reservations, we will make sure you get from the airport to your housing and back. So, PLEASE pray for the Lord to get you here and then we’ll take care of the rest! *Dan Rupple – CEO of Mastermedia Intl. Craig Detweiler is an author, filmmaker and cultural commentator. He is also a professor of Communication and director of the Center for Entertainment, Media, and Culture at Pepperdine University in Malibu, California. He received an M. Div and Ph.D in Theology and Culture at Fuller Theological Seminary and has written several screenplays and books. His insight and knowledge of the culture and spiritual condition of the entertainment industry is extensive and invaluable. 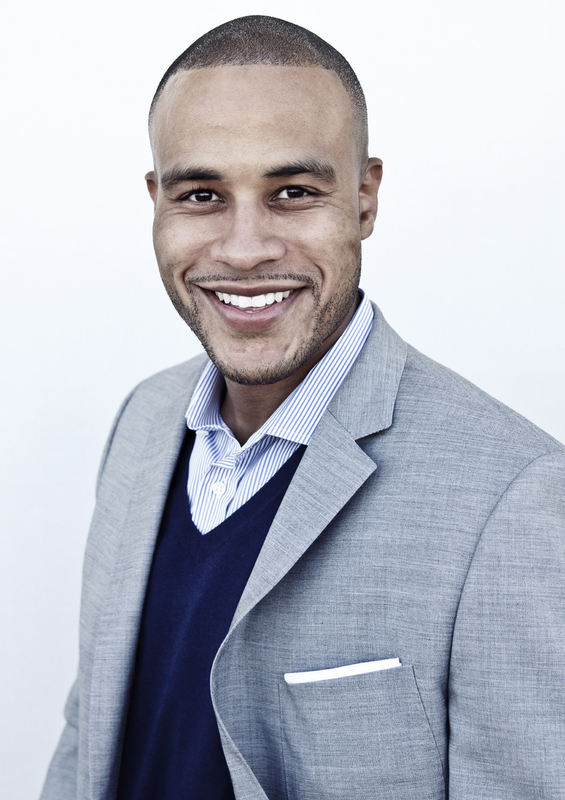 DeVon Franklin serves as the President/CEO of Franklin Entertainment, a new first-look production company with Sony Pictures Entertainment. 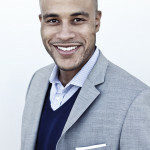 As the former Senior Vice President of Columbia TriStar Pictures, DeVon worked on a number of the studio’s most successful films. He’s a published author, preacher and highly sought after motivational speaker who wrote “Produced By Faith,” a best-selling how-to guide about pursuing your career without compromising your faith. 7:45am – Vans pick up from Hotels to CBS. Be sure to check out from your hotel! 1:15pm – Vans leave CBS to Warner Bros.